This specimen came from the Baltic Sea of Russia. 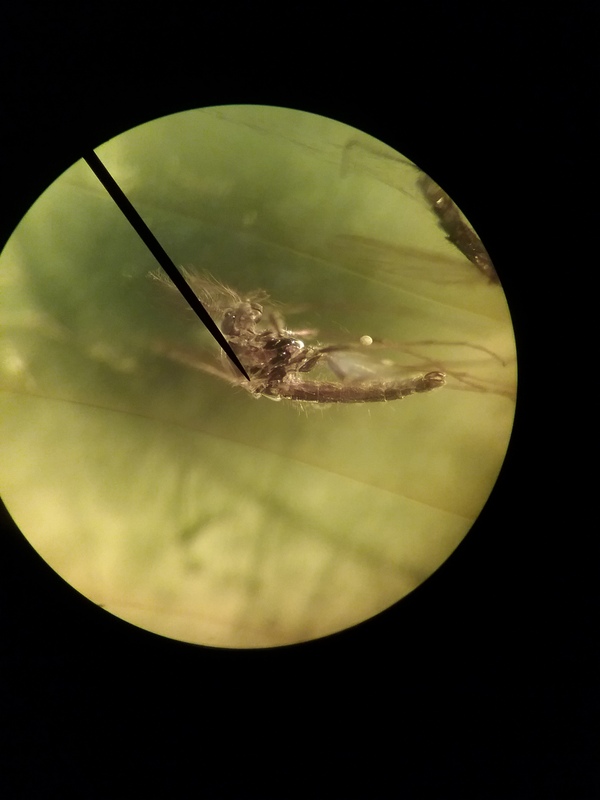 There are two male non biting midges present in the specimen. Their from the Eocene about 44 million years ago. Photo taken with microscope at 40x magnification.